I’ve been loyal to the Emma Hardie Cleansing Balm for quite some time, but when I ran out of yet another jar I decided just as a change to pick up something new! I was browsing in Space NK (as dangerous as that is!) and after divulging the sales assistant in my skin care concerns, she recommended me the Sarah Chapman Ultimate Cleanse Cleanser! 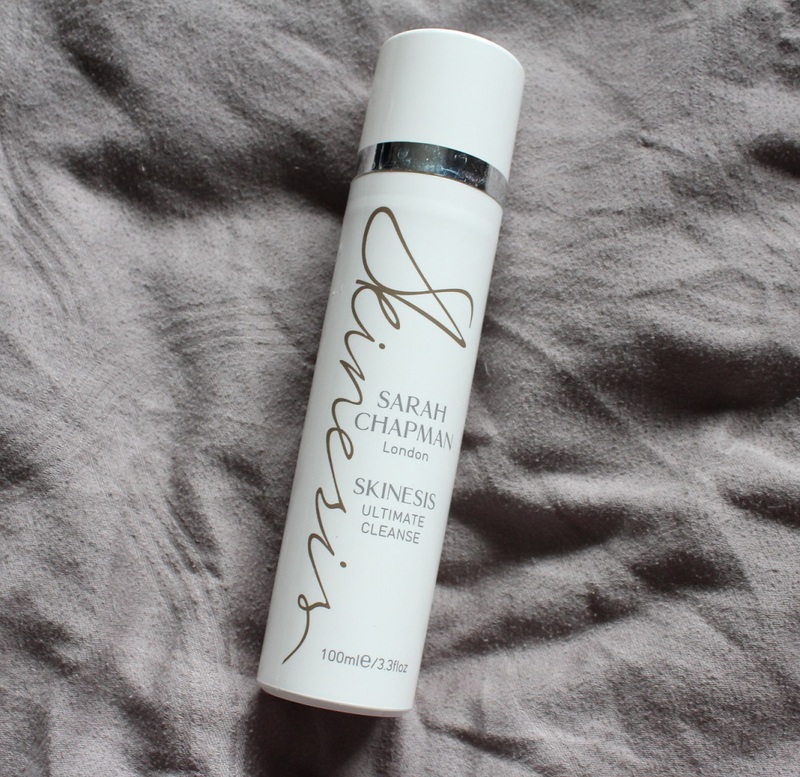 The Sarah Chapman Ultimate Cleanse comes in a tall, sleek white bottle with pump and looks very nice in my bathroom! This design I like better in comparison to the EH Cleansing Balm, because it’s much easier for controlling the amount you use. That and the bottle isn’t as easy to break as the Moringa Cleansing Balm jar can be! Product wise, the look and feel of the Ultimate Cleanse cleanser is the same as the EH Cleansing Balm because it too is a balm cleanser! The smell is quite aromatic and is made up from a blend of camphor oil, neroli, chamomile, jasmine and rose. 1 pump is normally enough to cleanse my whole face (even with makeup) and I mix the balm with a little bit of water. It dilutes into a milky consistency of which I then apply to my face and massage in. The Ultimate Cleanse was designed to remove all traces of makeup and Sarah Chapman is true to her word. All my makeup melts off and after rinsing with water my skin instantly feels thoroughly cleansed and is very moisturised! Not only this, but it’s actually been working deep into the pores and draws out impurities in a very gentle way. I only noticed the true effects of this deep cleansing/pore unclogging when I recently used the Glamglow Super Mud mask. Normally I would see lots of little dots around my nose where all the oil and dirt is being unclogged from my pores, but instead those dots were visibly reduced and I could barely see any! The final verdict? I LOVE this cleanser! Over the past couple of months since using this I’ve noticed my skin condition has visibly improved and is looking a lot brighter than it was. A big thumbs up from me! The only thing that I would say is that the Sarah Chapman Ultimate Cleanse is not cheap! It’s £40 for 100ml which is definitely high end, but considering how well it’s worked for my skin I’m willing to invest in this and repurchase when the time comes. 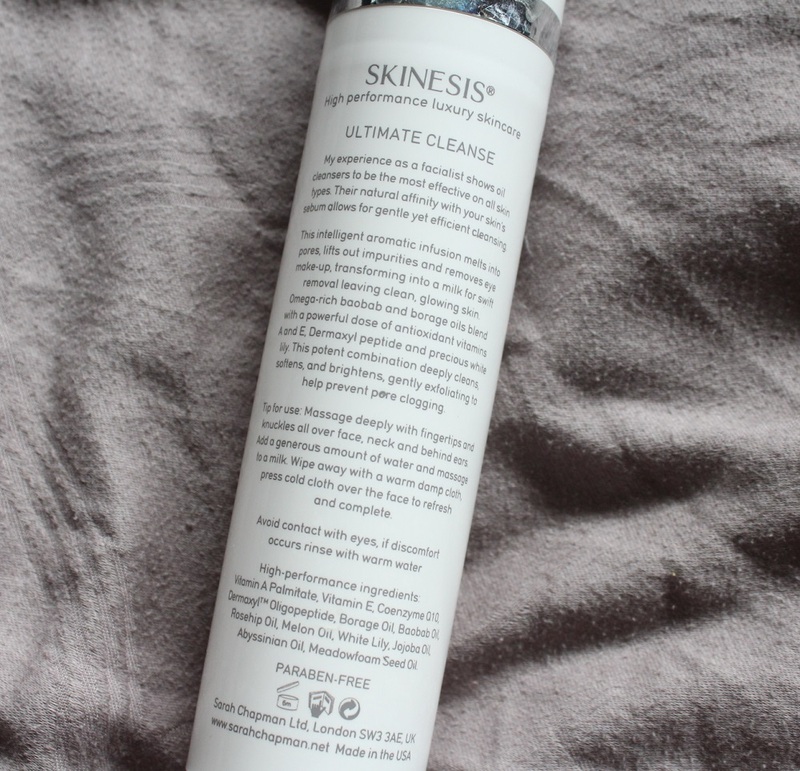 I bought the Ultimate Cleanse from Space NK but you can also buy it directly from the Sarah Chapman website or QVC. Have you tried the Sarah Chapman Ultimate Cleanse? 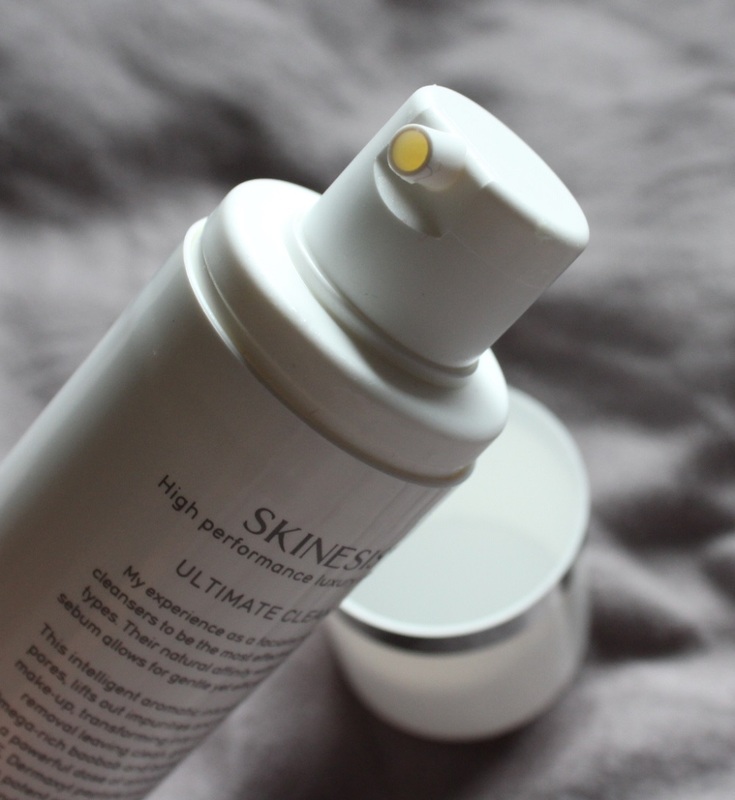 What’s your favourite cleanser at the moment? I also love the Sarah Chapman Ultimate Cleanse and the Emma Hardie Moringa balm. My skin has never felt or looked so good since using these products. I don’t mix either with water (although I know you can) preferring to use them neat straight on my face. I love the consistency. I discovered both products on QVC as I love their 30 day money back guarantee. Neither of these went back though!! Can I also suggest Sarah Chapman’s Overnight Facial. a wonderful product. Try it! Oops – misspelt my e-mail address. Sorry. This is the correct one.